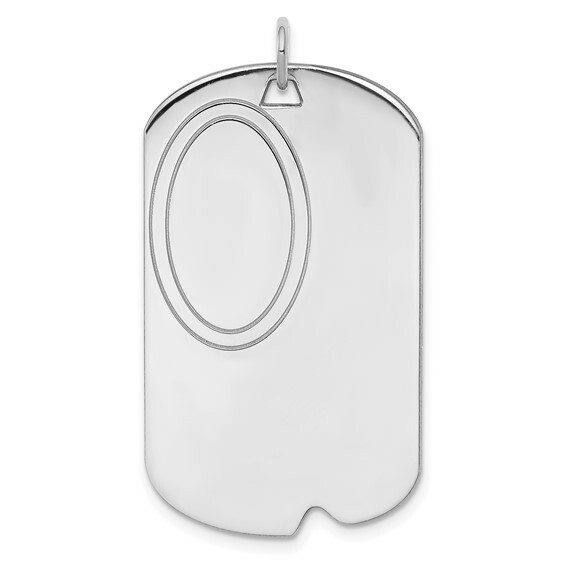 Engravable Dog Tag Disc Charm is made of polished sterling silver. Dimensions: 1 3/8in x 13/16in wide without jump ring. Weight: 7.26 grams. Thickness: .035in. Made in USA.